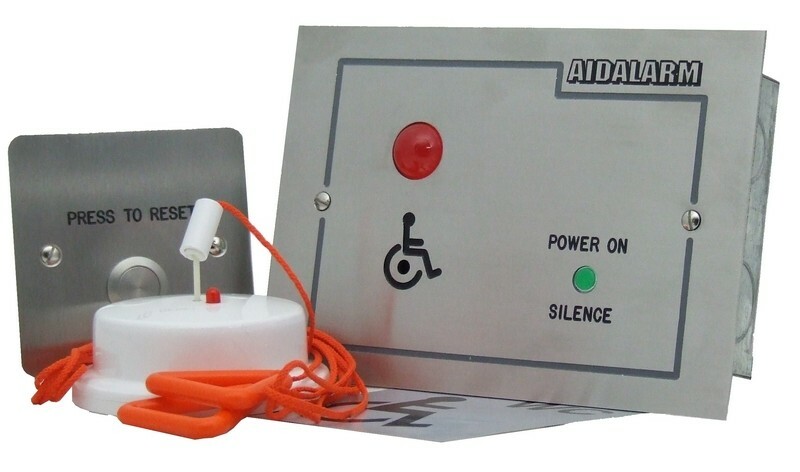 An emergency signalling system for handicapped persons. The unit comes in two versions, A600LKITB is powered by 6 x AA batteries and the A600LKITM which can be either mains powered or 12vdc. Both operate in a similar way and can give audible and visual indication at or near the point of call. 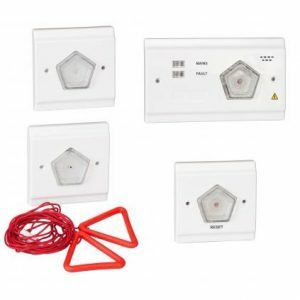 Both units have adjustable tones, the A600LKITB has a low battery condition monitor and the A600M is fitted with a relay for remote monitoring. Pulling the cord or pressing the call button generates an immediate alarm. Visual indication is given by the flashing high brightness LED’s. An acknowledge LED is also illuminated on the pull cord or call button. A SILENCE / RESET button is included on the front panel.